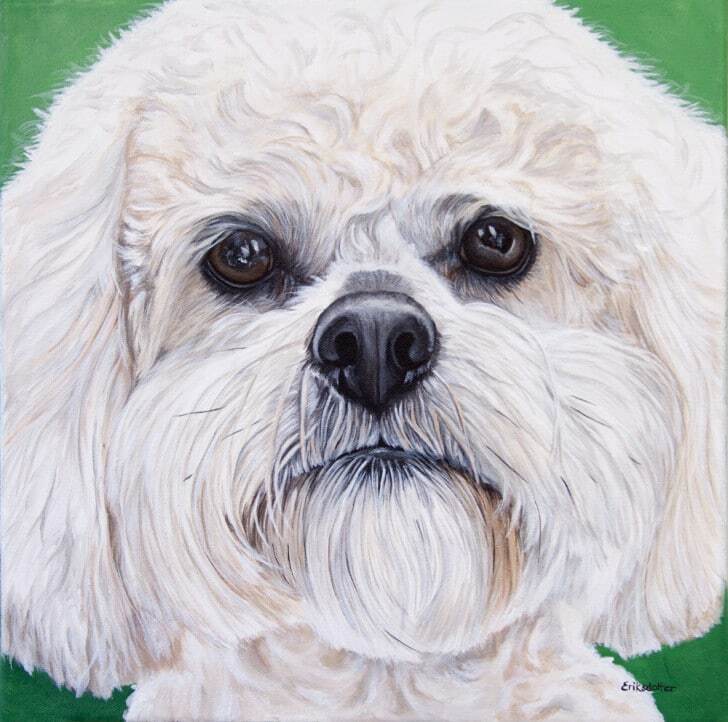 Boomer’s Portrait is the second portrait of three commissioned by a client in Virginia. 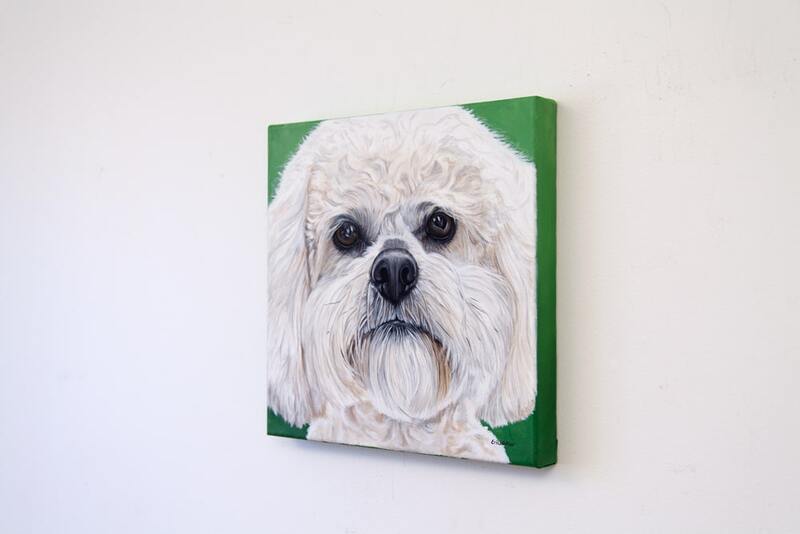 You can check out the first painting of Lexie here (a lovely birthday gift to his wife). 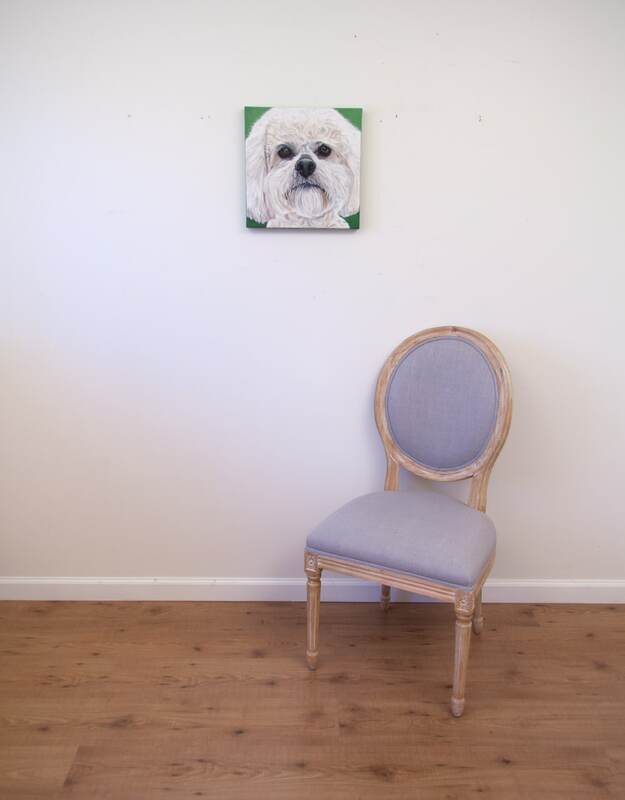 When looking at photos of all the dogs, I felt it would be nice to create a common thread among the portraits and the green backgrounds serves this purpose. The painting measures 12 x 12 inches and is painted on a 1.5 inch (4 cm) deep gallery wrapped canvas. All sides are painted with the background color, which is the same blend as Lexie’s Portrait.